The story follows Windblade's adventures on Cybertron as the Cityspeaker for the Titan Metroplex. Cybertron has just come off the wars and its piece is relatively new, but trouble is already arising and to top it off, the elected leader, Starscream is up to something. The story is engaging and captivating and leaves you wanting more answers. 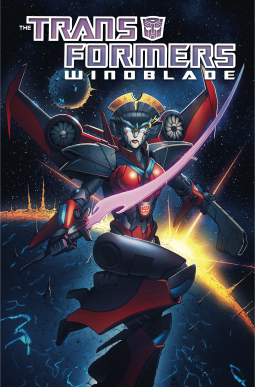 What lies in store for Cybertron, what is Windblade's agneda and more importantly, what is Starscream up to? We know we can't trust a Decepticon. The art doesn't disappoint and the Transformers always make a great story. This saga is definitely worth following.